Truck Accidents « Carter Cromwell Law Firm, P.C. A verdict in excess of $5 million dollars, in federal court, for a woman killed when a defective brake system caused a truck to jackknife. This case was appealed to the United States Supreme Court and the court ruled in favor of our client with all nine justices agreeing. Recovery for a man who received a severe brain injury when his SUV was T-boned by linen delivery truck. 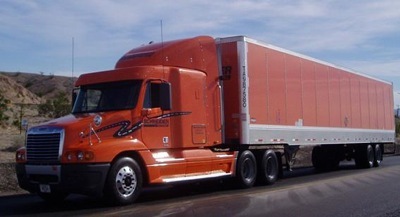 The evidence showed that the company failed to follow federal regulations when hiring and employing this truck driver. The truck driver also failed the vision test in his physical exam and had a prior criminal record involving the use and sale of narcotics. Recovery for family of wife and mother who died in fiery crash when a tractor-trailer rig rear-ended her pickup truck. The settlement was for a confidential amount. Verdict of over half a million dollars for a man who injured his knee when a truckload of plastic pipes fell from an oncoming truck. Our client swerved to dodge the pipes and went off the road. When he dove into the passenger side to be clear of the windshield, he injured his knee on the console and could not work for months. Going into the trial, the trucking company denied all responsibility and refused to even pay his medical bills. The jury found them not only responsible, but negligent for failing to secure the load properly. Reovery for the family of an immigrant worker who was killed along with three other occupants of the vehicle he was riding in. Their SUV had skidded to a stop on a wet highway. The tractor trailer slid over 200 feet before striking their vehicle and drug them another 200 feet after crashing into them.